It can do Asian, Euro and American cars. 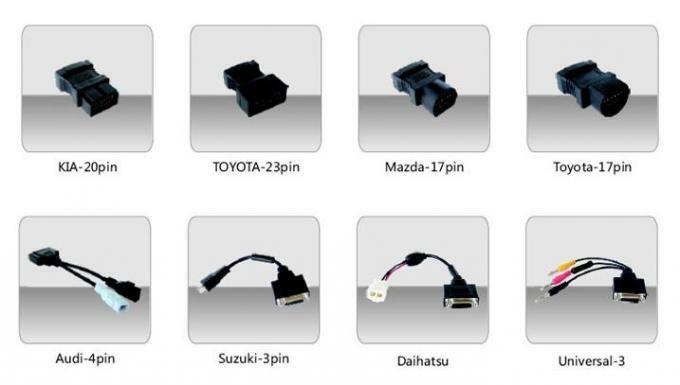 For Toyota, Honda, Nissan and Renault, its functions have reached their original tool funcitions. For Volvo and Mitsubishi, year before 2005, it has reached original functions. Within 3 year, Free update by internet. Delicately developed by the most distinguished experts of this industry, the MaxiDAS® DS708 is a state-of-art diagnostic system that delivers more accurate, more stable, more comprehensive, easier and faster diagnosis. The new generation platform stands out in a variety of tools by providing incredibly high performance with intuitive operation. 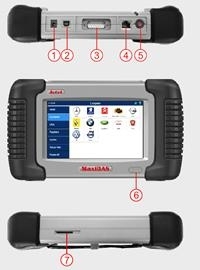 Right for the first time, workshops and technicians could find an OE-level diagnostic solution designed for the aftermarket. The DS708 is the key to gain customer confidence and boost your bottom-line. Can you afford to be left behind? Prints out recorded data any time and anywhere with Wi-Fi printing capability. printing data logging and internet access after disconnecting from the vehicle. USB Connection Port Connects to the computer or laptop for updating and printing. 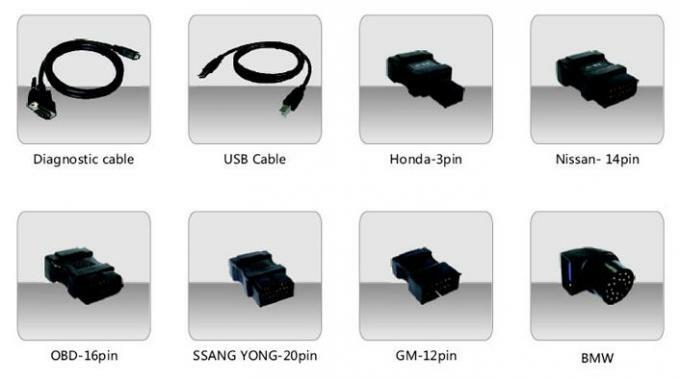 diagnostic cables and connectors supplied. data logging, and brings the internet resource of your choice at your fingertips. ON/OFF Button Powers on/off the diagnostic tool. SD Card Slot Standard SD card for a maximum of 4 gigabytes storage.